Kokeicha Formed Tea (Japan) - 4 oz. Contains high antioxidant level of 8.55% vs 5-6% for mass-market teas. Character: Smooth light liquor with slight green character-tending sweet. 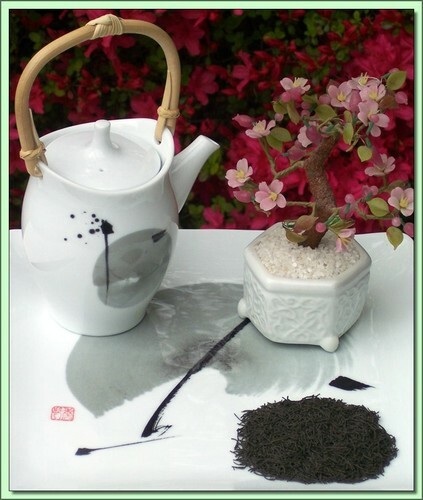 Kokeicha is a specialty Japanese tea prepared from the fine green tea powder used in tea ceremonies. A special process whereby water is added to the tea powder, kneaded, extruded through a machine (similar to making fresh pasta) and finally dried to result in a 'pine needle' like form. Thus Kokeicha translated from Japanese means 'formed tea'. Hot Tea: This tea is best enjoyed by pouring 180F/90C water over the leaves (1 teaspoons per cup) for 3 minutes (longer=stronger). Don't remove the leaves. Infuse repeatedly 2-3 times using higher temperatures & shorter infusions until flavor is exhausted.